GRANTS are available from the SEAI under the Better Energy Homes Scheme for boiler replacement together with heating controls upgrade, heating controls upgrade on their own as well as for insulation and solar water heating. There are also tax incentives given by the Revenue Commissioners for repair, renovation or improvement work in homes under the Home Renovation Incentive Scheme (HRI). For the elderly and people with impaired mobility local Councils operate grant schemes for heating and bathrooms. Our work qualifies for all of these schemes. The following gives full details on all schemes. What work is covered by the Better Energy Homes Scheme? How much is each Better Energy Homes Scheme Grant? 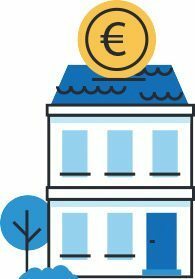 €300 for roof insulation; €300 cavity insulation; €1,200 to €2,400 internal wall insulation; €2,750 to €4,500 external wall insulation. Who can get a Better Energy Homes Scheme Grant? It is open to all owners of houses built before 2006. Owner occupiers and landlords may apply. Landlords can apply for a separate grant for each of their houses. How do I apply for a Better Energy Homes Scheme Grant? The grant can be applied for online at online here. Our Registration number is 10022. If the application is made on line grant approval is immediate upon application. If you are having any difficulty with the application process contact us and we will guide you with your application. Do I have to have a BER assessment? Yes. The SEAI require that a BER assessment is obtained after the upgrade work is carried out in the case of all grant applications. They will give €50 towards the cost of the BER assessment. As soon as the SEAI have approved your application and you accept their offer, Allgas Heating, Bathrooms & Plumbing can start the work. Contact us for a quotation for an upgrade of your heating and other measures e.g. insulation which you are interested in. What do I do after the work is completed to get the grant? After the work is completed we will issue you with a receipt for payment and complete our part of the Declaration of Works form (DOW) which SEAI will have sent to you. The DOW form will have to be completed and signed by the BER assessor and signed by you before you send it to the SEAI to obtain the grant. SEAI will then make a payment to you of the grant amount. Are there grants available from local councils for bathrooms? Grants are available from local councils for downstairs toilets, level access showers etc for people with disabilities and people with mobility issues. Click here for information on grants from Dublin City Council and here for grants from Fingal County Council and here for grants from Dun Laoghaire Rathdown Council. We have completed many bathrooms for people with disabilities or mobility issues and fully understand individual requirements. We can provide advice on how best to adapt or design your bathroom to meet all your needs while still giving you a luxurious and welcoming bathroom. We are happy to provide you with a free quotation. Are there grants available from local councils for heating systems? Grants for elderly people are also available from local councils for a full heating system where there is no heating system or for a boiler replacement where a boiler is beyond repair. Click here for information on Grants from Dublin City Council and here for information on grants from Fingal County Council and here for information on grants from Dun Laoghaire Rathdown Council. How do I get tax back? The Home Renovation Incentive Scheme (HRI) gives a tax credit to homeowners for qualifying expenditure on repair, renovation or improvement work carried out by a qualifying contractor, which is subject to vat at 13.5% and which is on a principal private residence or rental property. Bathroom, heating, insulation or other home improvement work would be covered under this scheme. Is there a minimum amount which the work must cost for the HRI? The work must cost a minimum of €5,000 (including vat) for which you would get €595 tax back. The tax credit is at a rate of 13.5% of the total cost including vat between €5,000 and €34,050. The maximum tax credit is €4,050. Can the work be for a few different jobs in a house for the HRI? Yes. You could have repair or renovation on your heating and bathroom done and if it all came to over €5,000 including vat it would qualify (subject to Revenue’s rules). Work by a number of different contractors on different jobs can be combined to qualify. Does your work qualify for the HRI? Allgas Heating, Bathrooms and Plumbing has a current Tax Clearance Certificate so our work would qualify. How does the HRI scheme work? The tax credit scheme is operated by the Revenue Commissioners. You claim the tax credit after the work is carried out. It is is implemented on the Revenue website. Does the HRI apply to rented accommodation? Yes. It has now been extended to rental properties. Does the tax credit apply if someone else other than the owner pays for the work? No. The tax credit is only available to the owner occupier or landlord and payments must be made by them. What do I do if I want to claim under the HRI scheme? We need to enter the details of the works on line. So if you intend applying under this scheme, before the work starts you need to tell us that you will be applying and give us your Local Property Tax ID. We will then enter the details on line onto the Revenue website (HRI on line). When payments are made we will also enter these on line. These payments must be made by the owner occupier. You will be able to view these entries on the Revenue website. Where can I get further information on the Home Renovation Incentive Scheme? Full details are on the Revenue website.